SPH REIT's 1QFY8/19 results were in line, with DPU forming 23.3% of our FY19 forecast. The share lacks major catalysts. 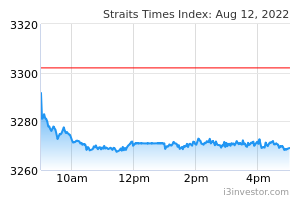 Maintain HOLD with a target price of S$1.02. SPH REIT (SGX:SK6U) posted a set of in-line 1QFY19 results. Revenue improved 0.6% y-o-y to S$53.8m due to the contribution from The Rail Mall (acquisition completed in Jun 2018) and higher revenue from The Clementi Mall. Net property income however fell 1% y-o-y due to higher marketing expenses. SPH REIT's 1QFY19 DPU was 1.34 Scts, same quantum as the previous year, making up 23.3% of our full-year forecast. We expect income in the next three quarters to be higher due to the contribution from Figtree Grove Shopping Centre in Australia (acquisition completed in Dec 2018). 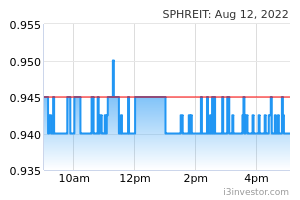 SPHREIT's balance sheet remains robust with gearing of 26.3% and stable funding cost of 2.80% as at end-1QFY19. Paragon has finally turned around with a positive rental reversion of +10.1% on the renewal of 8.4% of the mall’s total NLA. We understand that luxury sector sales performance picked up significantly. The Clementi Mall reported +4.5% rental reversion while The Rail Mall registered +7.9% rental reversion on 6.8% of the total NLA. These translated into a strong portfolio rental reversion of +9.7%. In FY19, SPHREIT has 8.4% of NLA due for renewal in Paragon, 9.1% in The Clementi Mall and 30.1% in The Rail Mall. With improved retail sales sentiment, we anticipate rental reversions to continue to improve in FY19. The high renewal rate at The Clementi Mall in FY20 will give the REIT an opportunity for reconfiguration and possibly improving rental rates. The new retail zone of about 16,000 sf at Level 3 of Paragon was launched at end-2018. Nonetheless, it is not expected to generate immediate returns but it will help to draw crowds, especially the younger set. As for The Rail Mall, SPH REIT has been running its marketing activities. We understand that there is good demand for the retail space at The Rail Mall. The Rail Mall’s current occupancy rate is about 95%. We maintain our FY19-21 DPU forecasts with a DDM-based Target Price of S$1.02. We like the niche position of its malls but it lacks major rerating catalysts. Large accretive acquisitions could serve as an upside risk while slower-than-expected rental reversion from its malls could be a downside risk.